LSAT Result 2018 will be announced in the month of May 2018. The result of Law School Admission Test can be checked online by entering email address and password. LSAT Result will be declared three days earlier to ensure smooth admission process and help colleges and candidates. More than 60 law colleges in India are accepting the score and rank of LSAT India 2018, organized by LSAC and Person VUE. 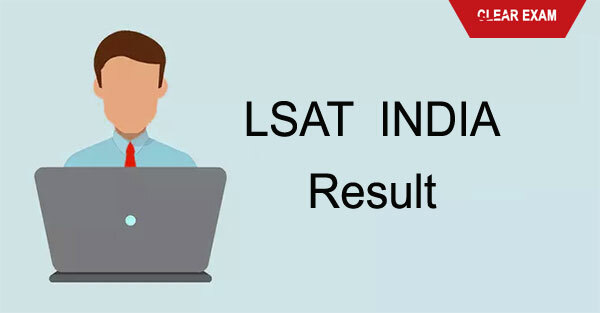 Link to check LSAT Result will be available here. Test scores are reported on a percentile basis, comparing each candidate’s performance to that of the others within his or her candidate group (Five-Year Integrated LL.B. Programme or LL.M./ LL.B. Programme). Scores for one candidate group cannot be compared to those for the other candidate group since they are based on group performance. So, for example, an undergraduate candidate earning an LSAT—India score of 82.5 has performed better on the test than 82.5 percent of the total undergraduate candidate pool. This score does not indicate what the candidate’s standing would be within the post-undergraduate candidate pool. Note also that this score does not mean that the candidate answered 82.5 percent of the LSAT—India questions correctly. Thus, LSAT—India scores tell law schools the relative strength of the critical-thinking skills measured by the test for each candidate in comparison to the others in his or her candidate pool. LSAT India Score Card – Scoring and Performance The marks as scored by the candidate in the test overall is given in the LSAT Score Card. There are no sectional cutoffs. These scores/percentile rankings are based on the overall performance of candidates and not the sectional performance. Understanding your score - There is no negative marking in LSAT Result and scorecard. The marks are given for the correct answer only contributes to the total score. Using the test scores Several Universities and colleges offering Law courses take admissions on the basis of LSAT scores. After receiving the LSAT scores, you will need to apply individually to one or more of these colleges to get admission. Before applying, make sure that you meet all the eligibility criteria as laid down individually by the colleges. The best law colleges in India accept LSAT India scores. The test score is valid only for one year. For each admission cycle, the candidate needs to appear in the LSAT exam of that year. If you are not satisfied with your LSAT result this year, you can prepare again and appear in next year’s LSAT (LSAT India). Please Note – Only LSAT India scores (LSAT Result ) are accepted by Indian Law Colleges and Universities. LSAT scores are not accepted for admission in Indian colleges. If you have LSAT scores, you may apply to law colleges in US, Canada and Australia.